On November 7th and 8th 2017, the 11th Congress of AKJ Automotive took place in Puebla, Mexico. The aim of the conferences organized by AJK Automotive is the exchange of information between all members of the automotive value chain. With a total number of 15 speeches and 2 discussion panels and according to the motto “Empower Automotive Mexico 4.0”, this year’s event dealt with topics such as the Mexican automotive industry and the NAFTA status, Mexico in a new world of opportunities and barriers, drive supply chain excellence, drive innovation and the future for automotive, innovation processes in product and process as well as Industry 4.0. Speakers included representatives of VOLKSWAGEN, AUDI, FORD, DAIMLER, BOSCH, Brose, EDAG and PricewaterhouseCoopers. With a total of 140 participants, the conference also offered extensive networking opportunities. 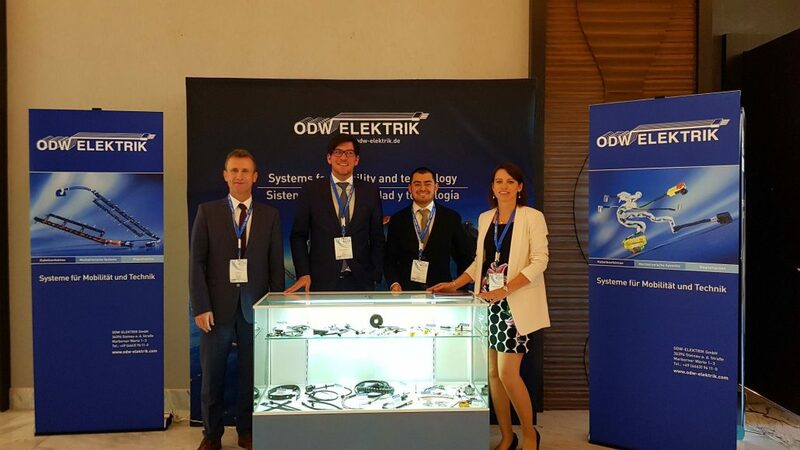 ODW-ELEKTRIK participated as one of 10 sponsors with a booth at the event.